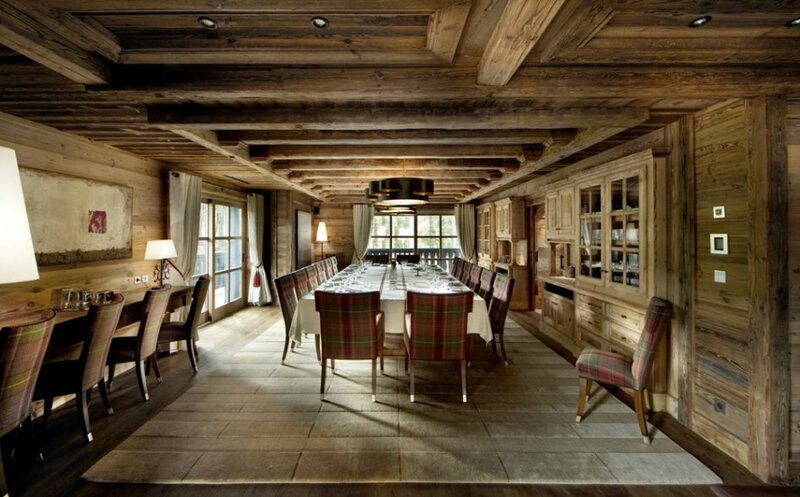 Chalet Edelweiss is the largest and most luxurious rental chalet in the Alps. Completed in September 2012, Edelweiss is found next door to Les Gentianes and benefits from same location - ski-in ski-out, a intensely private residential area, yet less than 5 minutes' walk to the village of Courchevel. Chalet Edelweiss brings a new standard of luxury to Courchevel, 3000m² over seven floors, with eight bedrooms sleeping 16, two being master suites of 100m², a 50m² ski room, a state of the art cinema room and a nightclub accommodating 100 people. A car lift provides access to an underground garage for 20 cars, a lift that gives access to all levels as well as a magnificent spiral staircase. There is a separate staff lift, stairway and entrance ensuring complete privacy. The spa floor is rivalled by none. A 14 meter pool with Jacuzzi features a waterfall surrounding a sky light, a bar, hamman and sauna are also found here. On the same floor is a double therapy room and a large independent gym. Chalet Edelweiss also houses some incredible artwork that the owner is passionate about.